Hijab fashion for kids has become increasingly popular. Appealing hijab designs and patterns for all occasions are available, which makes them cute and truly Islamic. A wide variety of kids hijab designs are available to match their chubby and rosy cheeks. Little Muslim kids are encouraged not only to follow the dress code but also the Islamic traditions n rituals. The cotton kids hijab dress covers right from head to toe and is cool and comfortable during prayers. 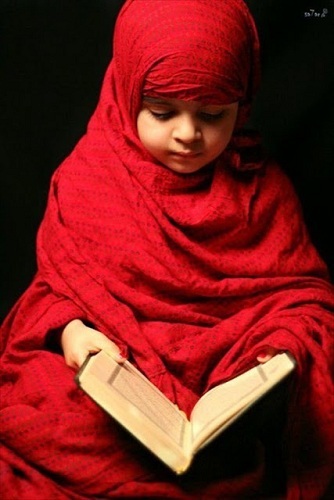 Prayer hijab is meant to be worn over clothing for purpose of modesty during prayers. 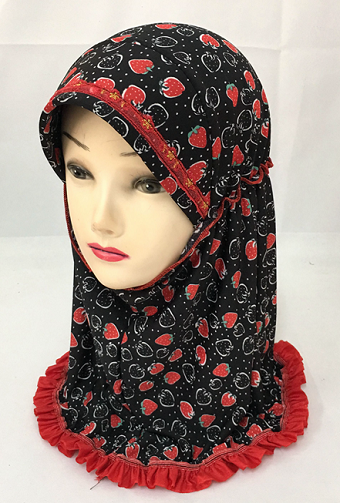 This style Children hijab is popular because it is comfortable for everyday wear for young girls who have just started wearing hijab. It is a two piece headgear consisting of a cap or an extra large headband to cover the head n hair and a tube-like scarf worn over that to cover the chest and shoulders. 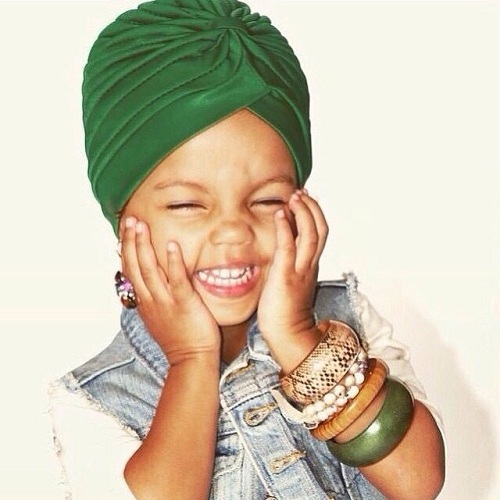 This African style turban is a cool and fabulous kids hijab fashion. This headdress is stretchy, light and snug. The back of the turban has an elastic strip sewn in for ease and stability. 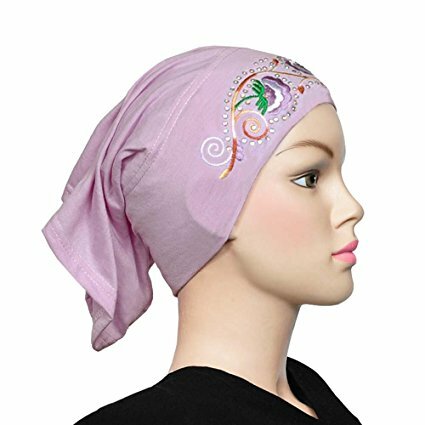 This all-purpose turban can be worn as a full or partial head covering. Wear it as a hat with hair lose or tuck your hair in. Girls wrap shawl is an elegant kid’s hijab dress which is both practical and cosy to wear. No need to wrap, just tie it at the back. They are easy and simple to wear that’s why young hijabis prefer this style over the wrap scarves. Made from an ultra soft stretchy cotton material, no pins needed. These criss cross kids hijab fits a little more snugly than other designs. It has all the benefits of the full under scarf with one difference that it fits around the neck. Its made from super soft viscose stretch fabric suitable to year all year round and available in many colours and trendy ranges. This under scarf cap of children’s hijab helps scarves, hoods, veils and shawls stay in place and keeps hair from slipping out. 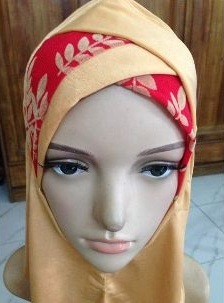 The cotton hijab cap has detailed embroidery. It’s soft n stretchy with polyester fiber blend to hold its shape and reduce wrinkling. Mix n match with scarves to enhance its appeal. This stylish abaya cloak hijab fashion for kids is a simple loose A-line robe. This school uniform abaya with two side pockets and side slits for ease of walking. 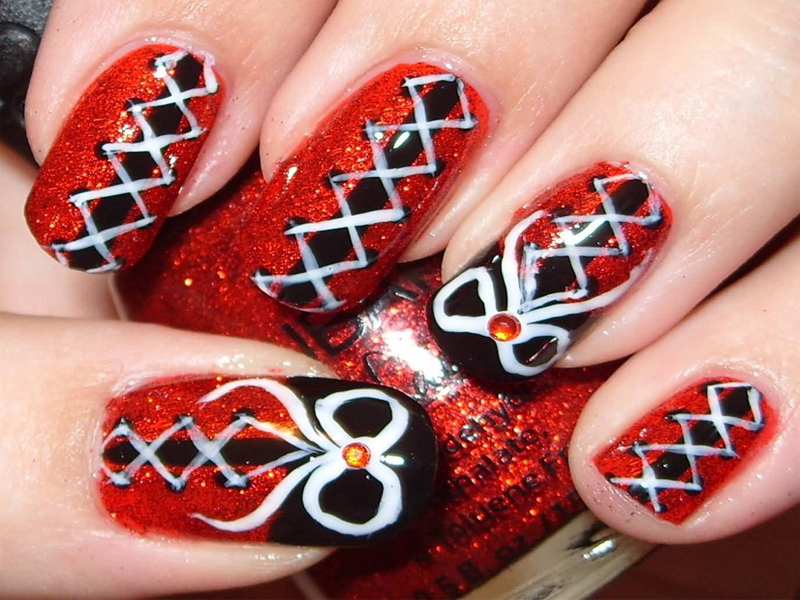 This black conventional pattern varies from region to region yet it is cool for everyday use. Its simplicity gives it a fascinating look. Hijab for school girls encourages the sense of oneness as well as adhere to the religious guidelines. They are simple scarf over your head, pin-up the sides under the chin and flip it around the shoulders and spread both the ends to cover the chest. Kids’ hijab dress has to match with the dress code prescribed by the school/college. Hijab fashion for kids has become increasingly popular. Attractive hijab patterns in multiple colours make them look cute and equally Islamic. Most of the little ones follow their role models- elders in dressing codes. A wide collection of vibrant coloured, embroidered, polka dots children’s hijab are available to match the chubby cheeks n rosy chins. Top 9 kids hijab dress collection have become increasingly popular. 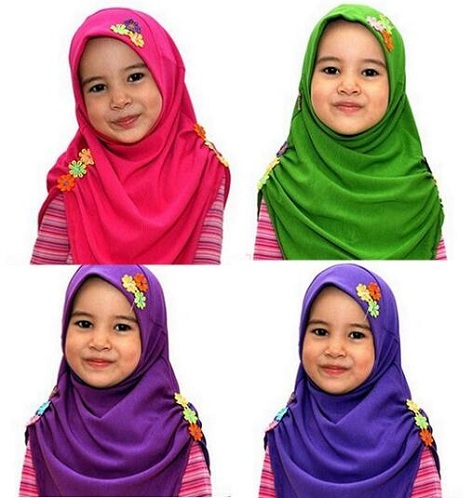 Attractive hijab patterns in various colours are designed for kids which makes them look cute and equally Islamic. Most of the little girls love to peruse their elders in dressing codes.